"Benjamin is a ravenous wolf; In the morning he devours the prey, And in the evening he divides the spoil." "Of Benjamin he said, 'May the beloved of the Lord dwell in security by Him, Who shields him all the day, And he dwells between His shoulders." The heart and soul of life in ancient Israel was primarily centered within and around the boundaries of the tribe of Benjamin. To the north lay what would become the northern kingdom of Israel. To the south lay the heartland of Judah, the tribe of David. Benjamin sat straddled in the middle. The tribe of Benjamin and the tribe of Judah are the only two tribes which maintain a steady presence throughout all of the Bible, including the New Testament. It's central role in Israel's rich past is reflected in the geography and location of it's centralized allotment detailed in the annals of the Old Testament. The tribe of Benjamin received their allotment from Joshua after the Israelite victory at the Waters of Merom. With the fall and destruction by fire of Hazor, a great Canaanite stronghold, the north was open to settlement. With this victory the land had effectively been infiltrated from the south to the north, and though far from conquered, the Canaanite influence had been weakened significantly. Under the direction of Joshua the congregation of Israel gathered at the sanctuary in Shiloh. The land recently conquered was meant to accommodate the northern tribes of Naphtali, Zebulun, Asher, and Issachar. The southern tribes of Simeon, Dan and Benjamin had not received allotments at the previous gathering in Gilgal. This division had been given after the initial push into the south of Palestine after the battle of Jericho. Thus these three southern tribes were assigned lots as well during the meeting at Shiloh. The tribe of Benjamin received a stretch of land in a depression, or "saddle", which stretched from Bethel south to Jerusalem . It merged with the boundary of Dan to the west, and the Jordan River to the east. It was a well watered land except for on the eastern ridge portion. 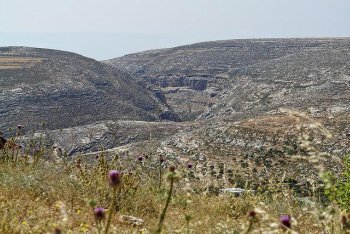 The land was fertile, located on the central plateau which topped the Western Mountains of central Palestine. The eastern side plunged sharply into the Jordan Valley below. This portion of Benjamin was less hospitable. The boundaries placed the tribe of Benjamin between the powerful tribe of Ephraim to the north, and the equally powerful tribe of Judah in the south. The valley of Hinnom, or Gehinnom, or Gehenna, was the boundary between the tribe of Benjamin and the tribe of Judah. 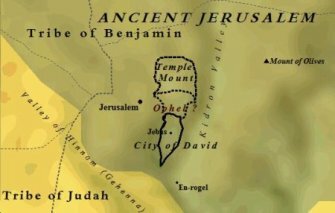 This placed Jerusalem as a city within the original allotment of the tribe of Benjamin. The city would quickly become absorbed and adopted by the tribe of Judah, and indeed listed as a Judahite city in another town list. The shifting allegiances and boundaries are common throughout Benjamite history. Indeed the tribe of Benjamin would accommodate both Israel of the north and Judah of the south throughout the Old Testament. Despite its small size, only twenty-five miles in length and twelve in width, the tribe of Benjamin enjoyed a very strategic land. The Central Ridge Route, the main artery of north-south traffic through the Western Mountains, ran through Benjamin, as did important east-west routes, connecting Benjamin to the Transjordan in the east, and the coast in the west. Trade and caravans traveled continuously along these routes. The links of communication from the north to the south of Israel passed directly through the tribe of Benjamin. Thus, in effect, the tribe of Benjamin connected Israel and Judah. Indeed, the frontier between the two kingdoms was the land of Benjamin. Jews moved freely through this area, as will be discussed, despite the constant political strife and upheaval. 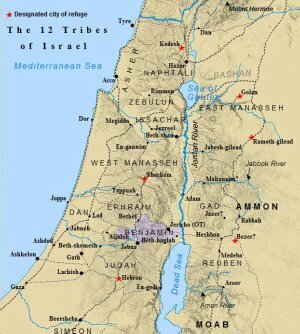 The boundaries and cities of the tribe of Benjamin are found primarily in Joshua 18, various passages in Judges, and Isaiah 10, though references abound regarding the tribe of Benjamin from Genesis to Revelation. Nadav Na'aman points out the town list in Isaiah pre-dates the list of cities found in Joshua 18:21-28. Further detail concerning these lists and dates will be given. Joshua 18 offers two descriptions of the tribe of Benjamin. One is a broad geographical description of the borders as a whole, found in Joshua 18:11-21. The second is a specific list of cities found within those borders, found in Joshua 18:21-28. Interestingly, many scholars feel the two lists were composed at different times, though from a single earlier source, and combined to form this one passage. Many agree the earlier of the two documents is the geographical border description found in verses eleven through twenty-one, perhaps as early as the time of the Judges. The date of the city list in the later verses is a topic of some debate. Theories vary widely as to the date of composition and assembly of these early border and city descriptions. Nadav Na'aman and others agree that the lists seem to come from differing time periods, however likely came from a single source which dated from earlier times. Na'aman places the dating of the town list of Joshua 18:21-28 as being composed during the reign of Josiah (639 - 609 BC). Other theories place the dating of the lists much earlier. In his book A History of Israel, author Jon Bright states the passages of Joshua 15 and Joshua 18 were probably constructed during the time of David. Bright states chapters 13 - 19 of Joshua "reflects conditions of the period of the Judges". Thus, though these lists were set down during the United Monarchy of David (ca. 1000 - 965 BC), they reflect the times of the Judges some one hundred to two hundred years prior. Nevertheless, the border description of the tribe of Benjamin occurs first in Joshua 18:11-21. The border description starts at the ancient city of Jericho in verse twelve. "And the border on the north side was from the Jordan, then the border went up to the side of Jericho on the north, and went up through the hill country westward and it ended at the wilderness of Beth-aven." The border followed the road leading from Jericho to Ophrah, turning southward north of Ophrah and descending towards Bethel. The wilderness of Beth-aven would have incorporated much of this area, with the actual city of Beth-aven located a mere few miles east of Bethel. Nadav Na'aman states the northern border followed the Bethel-Ophrah line. The northern border of Benjamin would come to constitute the northern frontier of the southern kingdom of Judah. It became the limit of the southern frontier of the northern kingdom of Israel. Simply put, the land of Benjamin was the frontier between Israel and Judah. It buffered the north from the south, and the Benjamite northern border was the very line of separation between the two kingdoms - much like the DMZ between North and South Korea today. Consequently, the loyalties of the tribe of Benjamin were always divided, and many skirmishes were fought along this frontier over the course of its history. Only one major war was waged on the soil of Benjamin, though sporadic fighting occurred along the frontier, with both sides caught in a perpetual cycle of gaining, then subsequently losing, ground. Verse thirteen continues with the border continuing to Luz, which is also Bethel. From Bethel the border of the tribe of Benjamin turned southward to Ataroth-addar, near Lower Beth-horon. Though its identity not certain, Ataroth-addar is believed to have been located along the Central Ridge Route. Likewise, some cities on the maps given are questionable as to their location at best. Ataroth-addar, based on the map provided, would not seem to lie near "the hill which lies on the south of lower Beth-horon". Yet, it's proximity to Lower Beth-horon is undeniable, though the exact locale may be in question. Verse fourteen continues the border description of the tribe of Benjamin. "And the border extended from there, and turned round on the west side southward, from the hill which lies before Beth-horon southward; and it ended at Kirath-baal (that is Kiriath-jearim), a city of the sons of Judah. This was the west side." This verse is significant because it not only delineates the Benjamite border to the west, but also delineates the eastern boundary for the tribe of Dan. The tribe of Dan's borders, as scholars such as Nadav Na'aman have pointed out, were determined after the borders of Judah, Benjamin and Eprhaim. Na'aman states "its borders presuppose the demarcation of its three neighbors". Dan's allotment, thus, was the gap left by the borders of Judah, the tribe of Benjamin, and the tribe of Ephraim. Verses fifteen through nineteen give the southern border of the tribe of Benjamin. "Then the south side was from the edge of Kiriath-jearim, and the border went westward and went to the fountain of the waters of Nephtoah. And the border went down to the edge of the hill which is in the valley of Ben-hinnom, which is in the valley of Rephaim northward; and it went down to the valley of Hinnom, to the slope of the Jebusite southward, and went down to En-rogel." The cities will be discussed shortly, however Jebus was the name of the city before Jerusalem. Thus, in this verse the southern border of Benjamin includes what will become Jerusalem in time. The southern border extends from Kiriath-jearim, through the Valley of the Rephaim, an interesting reminder of kings Og and Sihon and the remnant of the Nephilim from Numbers, to the Valley of Hinnom south of Jebus. This valley lay to the south of Jebus, thus the city was within the tribe of Benjamin, and came to represent the line of demarcation between the tribes of Judah and Benjamin. 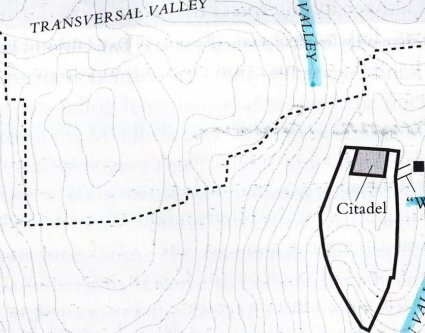 The original city of Jebus was simply the stronghold, or citadel seen on the map below, which the tribe of Benjamin failed to conquer. David drove out the Jebusites, and expanded the original City of David, making it his capital. Thus Jerusalem came to be identified with the tribe and kingdom of Judah. The description continues in verse seventeen. "And it extended northward and went to En-shemesh and went to Geliloth, which is opposite the ascent of Adummim, and it went down to the stone of Bohan the son of Reuben. And it continued to the side in front of the Arabah northward, and went down to the Arabah. And the border continued to the side of Beth-hoglah northward; and the border ended at the north bay of the Salt Sea, at the south end of the Jordan. This was the south border." The border description ends in verse twenty. "Moreover, the Jordan was its border on the east side. This was the inheritance of the sons of Benjamin." 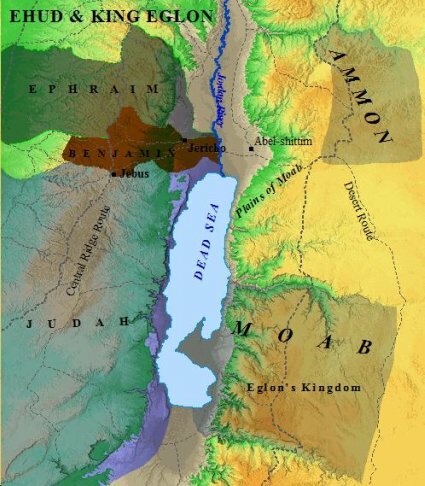 The southern border of the tribe of Benjamin stretched all the way to the Jordan River in the east. The Jordan River, in turn, formed its eastern boundary. 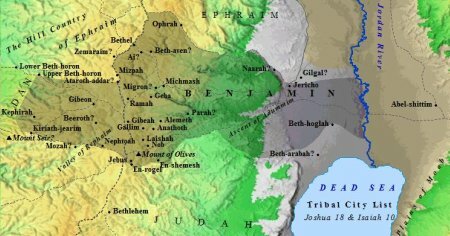 The southern frontier of Benjamin over time would merge with the northern frontier of the tribe of Judah. "They will come in from the cities of Judah and from the environs of Jerusalem, from the land of Benjamin, from the lowland, from the hill country, and from the Negev..."
This verse echoes similar descriptions given in Joshua 10:40, 11:12, 16, 12:8, and also in Deuteronomy 1:7. Clearly there were certain geographical descriptions which were familiar to most, if not all, ancient Hebrews. It is Na'aman's belief Jeremiah was a contemporary of the author of the city lists found in Joshua 15 and Joshua 18. Thus, the phrase "land of Benjamin" was used to denote a broad geographical area within the kingdom of Judah. The debate continues amongst scholars whether these geographical divisions also represent administrative districts within Judah's kingdom. Regardless, though the tribe of Benjamin was a part of the southern kingdom, it maintained the tribal autonomy of its borders, as evident by the phrase, "the land of Benjamin". The next section of Joshua 18 deals with the cities found within the tribe of Benjamin. Scholars disagree as to the nature of these lists, just as they disagree as to the author of the book of Joshua. Regardless, it is not the intent of this article to argue in favor of Joshua's authorship, but rather to present the cities and different views of these cities within the tribe of Benjamin. Thus, different views and theories will be presented, though none dare claim truth over God's Word. Verse twenty-one opens the town list of the tribe of Benjamin. The list stretches to verse twenty-eight and includes twenty-six cities in all. One must always keep in mind when dealing with city lists in the Old Testament that many locations remain unidentified, while others are controversial at best. "Now the cities of the tribe of the sons of Benjamin according to their families were Jericho and Beth-hoglah and Emek-keziz." These cities are those located in the Jordan Valley. The land of Benjamin was diverse as the valley plummeted from the mountains above in a very short distance. Jericho was a strategically important city, lying on the plains of the Jordan River. It has shown occupation dating from 8,000 years ago. During the time of the Old Testament it was the doorway to the heartland of Palestine. Roads from ancient Jericho branched in all directions into the highlands, thus opening all of Canaan to the north and south, and as far west as the Mediterranean. It was through Jericho God instructed Joshua to enter Canaan. The battle of Jericho began the southern campaign of the conquest of Israel. To the south of Jericho was Beth-hoglah. This ancient city lay near the mouth of the Dead Sea. These cities were well watered by the Jordan and nearby streams. Whereas the border description started at Jericho and proceeded north, the town list begins at ancient Jericho then proceeds south. The text emphasizes The City of Palms as a principal city within the tribe of Benjamin. It's security oftentimes determined the security of the entire area and the bordering tribes. The town list continues in verses twenty-two and twenty-three. "and Beth-arabah and Zemaraim and Bethel, and Avvim and Parah and Ophrah,"
Beth-arabah is a town mentioned both in the town lists of the tribe of Benjamin and the tribe of Judah. Joshua 15:61 lists Beth-arabah in the wilderness of Judah. This region was closely connected to both Benjamin and Judah. Scholars have offered the theory that both lists came from an original source which listed all cities together under the heading of the southern kingdom of Judah. However, the author of this particular portion, writing some years after the schism, tried his best to reflect the original document and mesh it with the current time period of writing. Na'aman's argument that the dating of these town lists to Josiah's time is that the cities mentioned best reflect this period in the history of Israel, from 639 - 609 B.C. Beth-arabah is not the only town which finds itself in multiple town listings, for a variety of different reasons. Another such town is Bethel. Bethel is initially listed as belonging to the tribe of Benjamin. However, by the time of the Judge Deborah it is the tribe of Ephraim which seems to exert control over the city (Judges 4:5). Likewise the city of Ataroth-addar is vague as to exactly which tribe it belongs to, Ephraim or Benjamin. The frontier was a fluid region, where boundaries and loyalties seem to have shifted frequently. Na'aman gleams another piece of evidence to support his theory the town list of the tribe of Benjamin can be assigned to Josiah's reign by the names of certain cities reflecting the settlement "of group(s) of deportees in southern Mr. Ephraim." One such city is in verse twenty-three. Avvim, Na'aman claims, was named for the exiles from Avva who had been resettled in the land of Benjamin. Na'aman points out Avva was a city on the Unqu River, near the Babylonian-Elamite border. This would mean that the composition of this list could not have taken place before the Assyrian deportation by Sargon II, which took place during the years between 720-708 B.C. Thousands of people were deported from the hill country of Ephraim, including within the tribe of Benjamin, and the surrounding areas. In their place, thousands of people from throughout the Assyrian empire were brought in to resettle the land as far south as Bethel. These foreigners intermingled and married with the remnant of local Jews left over. This union over time produced the despised Samaritans of the New Testament. The story of this two-way deportation can be found in II Kings 17:24-41. Thus, the town lists in Joshua reflect these times, whereas the border descriptions themselves reflect the earlier times of the Judges, or so Na'aman argues. Verses twenty-four and five continue the town list of the tribe of Benjamin. "and Chephar-ammoni and Ophni and Geba; twelve cities with their villages. Gibeon and Ramah and Beeroth,"
Chephar-ammoni and Ophni are also cities Na'aman claims reflect the resettled population of Samaria. Ramah was a frontier city within the tribe of Benjamin. During the days of king Baasha of Israel ( ca.906-883 BC ), Ramah became a focal point of the northern kingdom. His thrust southward to fortify Ramah threatened Asa of Judah ( ca. 908 - 868 BC ), who in turn pleaded to Ben-hadad to put pressure on Baasha. The king of Aram-Damascus eagerly complied to Asa's request by invading northern portions of Israel, and the northern fortification of Ramah was halted. The incident is recorded in I Kings 15. In turn, king Asa took the stones and resources left after the north's hasty retreat, and built up the cities of Geba and Mizpah. Ramah was also the birthplace of the great prophet Samuel. Geba is listed in I Chronicles 6:65 as being one of the cities of the Levites given to the sons of Aaron from the tribe of Benjamin. The towns of Gibeon and Beeroth are of particular interest. After Joshua's successful conquest of Jericho, and their follow up victory at Bethel and Ai, the neighbors took notice. 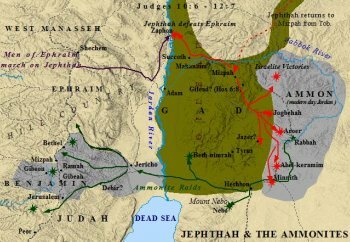 The Hivites were next in line, as they occupied the cities of Gibeon, Beeroth, Kiriath-jearim and Chephirah. These towns schemed together and deceived Joshua into a treaty, preventing their destruction by Joshua. They pretended to be from a far off land, and sought no quarrels with Joshua or the Israelites. Joshua hastily agreed to their terms without consulting God. His hastiness led Israel to accept the Hivites, thus violating God's command to completely rid the land of the Canaanites. Gibeon is located five miles northwest of Jerusalem. It guarded a strategic pass connecting the Central Plateau with the Shephelah. It was a walled town located on a small plateau. Terraces rise from the plain to the city above, as the city stood watch over the lands between the Jordan River and the Mediterranean Sea. It connected the Valley with the coast, thus was heavily involved in the trade and commerce of the region. Beeroth was also a member of the Hivite league. The location of this city is in question, though it is thought by some to have been located just eight miles north of Jerusalem. During the time of Solomon, Kiriath-jearim was converted to a fortress guarding the main approach to Jerusalem. The city is listed as belonging to both the tribe of Benjamin and Judah in the town lists of Joshua. The city was probably smaller than Gibeon, yet sat on the Joppa-Jerusalem highway and was of equal strategic importance. The town list continues in verses twenty-six and twenty-seven. "and Mizpeh and Chephirah and Mozah, and Rekem and Irpeel and Taralah,"
Mizpeh was an important city of antiquity to the Benjamites. Samuel initially judged from Mizpeh, though he traveled through the land frequently. He divided his time primarily between Mizpeh and his birthplace of Ramah. Mizpeh was also where Saul was anointed the first king of Israel by Samuel. Mizpeh was a mere eight miles north of Jerusalem and was a city of importance during the early days of ancient Israel. The books of I and II Samuel tell the story of Samuel, Saul, and David. Chephirah was the final member of the Hivite league. It lay approximately five miles due west of Gibeon, and guarded the main approach to Gibeon. The city was the least of the Hivite cities, yet its location deemed it of some strategic importance. The final verse concerning the town list of the tribe of Benjamin is found in verse twenty-eight. "and Zelah, Haeleph and the Jebusite (that is, Jerusalem), Gibeah, Kiriath; fourteen cities with their villages. This is the inheritance of the sons of Benjamin according to their families." The list adds up to twenty-six cities in all. The added, "(that is, Jerusalem)", has been used by some scholars to signify the town list being constructed at a later date than the original border descriptions. At the time of the composition of the border description Jerusalem would not have been know by that name, but rather by the Canaannite name of Jebus. The Canaanites settling in this region were the Jebusites. It is of no coincidence thousands of years later Arafat would falsely claim descent from the Jebusites in a meager attempt to legitimize his claim on Jerusalem. The early history of ancient Jerusalem , or Jebus is uncertain. Joshua 15:63 and Judges 1:21 make it clear neither the men of Judah nor the men of Benjamin could drive the Jebusites from their stronghold. However, Judges 1:8 tells how the men of Judah struck Jebus with the edge of the sword and set the city on fire. The two verses would seem to contradict each other. A plausible scenario may be that for whatever reason the men of Judah did not occupy the site once they burned it down. The Jebusites, thus, rebuilt the burnt city, apparently taking more defense measures than previously for the men of Judah and Benjamin were unable to conquer the city despite later attempts. Thus the city continued to be associated with the tribe of Benjamin and the tribe of Judah, and Scripture suggests the area was occupied by both for some time. It wasn't until the time of David that the Jebusite stronghold fell to the Israelites. It was David's men that snuck into the city through a water shaft leading from the city's main water source into the city itself. Upon opening the gates to Jebus the men of Judah stormed the city and claimed it for David. The City of David was expanded over time to include the Temple Mount. From here on out the city of Jerusalem was thought of in terms of Judah. Jerusalem, like Bethel, was a powerful city originally within the tribe of Benjamin, yet eventually absorbed by another tribe. Another town list of interest is found in Isaiah 10:28-32. Isaiah started prophecying ca. 787 B.C. He covered the reigns of Uzziah, Jotham, and a bit of Hezekiah's. The years covered are approximately 787-741 B.C. The end of his career is not known, though Jewish legend has it he was martyred by king Manasseh (ca. 696 - 642 B.C. ). His primary focus was the Assyrian threat to Israel and Judah. He spoke concerning the fate of some cities found within the tribe of Benjamin in chapter ten. "He has come against Aiath, He has passed through Migron; At Michmash he deposited his baggage. They have gone through the pass, saying, 'Geba will be our lodging place.' Ramah is terrified, and Gibeah of Saul has fled away. Cry aloud with your voice, O daughter of Gallim! Pay attention, Laishah and wretched Anathoth! Madmenah has fled. The inhabitants of Gebim have sought refuge. Yet today he will halt at Nob; He shakes his fist at the mountain of the daughter of Zion, the hill of Jerusalem." Nadav Na'aman points out the discrepancy of this list compared to the lists in Joshua. The only cities common to the two lists are Geba, Gibeon, and Ramah. Some scholars have argued that a district is missing from the tribe of Benjamin out of the Joshua town list that is represented in the Isaiah list. Na'aman, however, claims it is not a district, but simply a group of towns that are absent from the Joshua list. His reason for this is the state of affairs in the region after the Assyrian invasion. Isaiah spoke prior to the invasion. It is what he prophecyed about. He foresaw the destruction of Israel, and these cities were included in that destruction. Thus, these cities would not appear in a town list composes after the destruction and deportation of the ruthless Assyrian war machine. Na'aman argues this is evidence the town list in Joshua is from a later time than the town list of the tribe of Benjamin found in Isaiah. Isaiah predates Josiah by approximately a century and a half. The sons of Aaron were to receive thirteen cities from among the sons of Israel. Their portion of cities came from the tribes of Benjamin, Judah, and Simeon. The Aaronites received four cities from the tribe of Benjamin. Those four cities are listed in Joshua 21:17-18. "And from the tribe of Benjamin, Gibeon with its pasture lands, Geba with its pasture lands, Anathoth with its pasture lands and Almon with its pasture lands; four cities." However, in I Chronicles 6:60 Gibeon is not mentioned, only Geba, Anathoth and Almon, which is called Allemeth. Na'aman points out the inclusion of Gibeon in the Joshua list is in accordance with how things were during the reign of Josiah as well. Anathoth possesses an interesting history of its own. The city was located about three miles northeast of Jerusalem, within the tribe of Benjamin. Abiathar was from Anathoth. Abiathar was a priest and close associate of king David. However, he chose to follow the uprising of Adonijah and in I Kings 2:26 he is banished to Anathoth by Solomon. It is also interesting to note that Jeremiah was from the lineage of priests in Anathoth. The tribe of Benjamin produced not only kings of Israel, but some of its great prophets and priests as well. The four heads were Judah, Reuben, Ephraim and Dan. The instructions concerning the tribe of Benjamin are found in verses twenty-two and twenty-three. "The comes the tribe of Benjamin, and the leader of the sons of Benjamin: Abidan the son of Gideoni, and his army, even their numbered men, 35,400." The tribe of Benjamin were assigned to the camp of Ephraim. In this camp was Ephraim, its head, the tribe of Manasseh, and the tribe of Benjamin. They encamped on the west side of the Tabernacle. This was the third of the four camps to break camp. They followed the Levites and the Tabernacle. Judah was the first to break, encamped on the east side. Following Judah was the standard of Reuben, encamped on the south side. Next to break camp was the Tent of Meeting and the camp of the Levites. Following the camp of the Levites was the tribe of Benjamin. 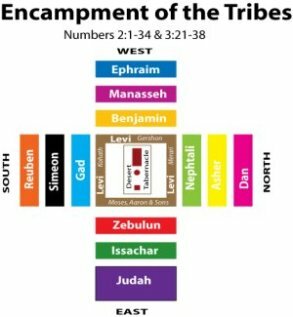 Within the standard of Ephraim, Ephraim set our first, followed by Manasseh, and last to leave camp was the tribe of Benjamin. One also notices that the tribe of Benjamin had the second fewest fighting men of the 12 tribes of Israel. The fewest men were found in the tribe of Manasseh. All together the tribes of Joseph had the fewest number of fighting men amongst the four camps. Ephraim and Manasseh were the two sons of Joseph, while Benjamin was the younger brother of Joseph. These three tribes descended from a biological bloodline. At times the tribes were called the tribes of Joseph, or the House of Joseph. These three tribes naturally were close, thus their encampment under the same standard should come as no surprise. The tribe of Benjamin remained close to Ephraim and Manasseh throughout the early parts of Israel's history. However, upon the break-up of the United Monarchy, Ephraim and Manasseh claimed loyalty to the north. The tribe of Benjamin officially declared itself loyal to the south, yet it would seem the tribe remained divided at least to a small degree. Perhaps the birth of Benjamin may be looked at as a forecast of the violence which would plague the tribe of Benjamin throughout much of the Old Testament. The uniqueness of Benjamin's birth is found in the tragic death of his mother Rachel while giving birth to him. Thus with his birth, death accompanied him. Indeed, the tribe of Benjamin would find itself involved in violent affairs throughout much of the Old Testament. The birth of Jacob's youngest of twelve is recorded in Genesis 35. The birth of young Benjamin is a puzzling affair in that Jacob and his family were traveling a long distance to a new home. The natural question arises as to why Jacob would have put Rachel through such an ordeal so late in her pregnancy? The narrative of her death is found in verses sixteen through twenty. Verse sixteen speaks of their journey. "Then they journeyed from Bethel; and when there was still some distance to go to Ephrath, Rachel began to give birth and she suffered severe labor." The question posed above is a legitimate question. Why would Jacob and family have been traveling such a distance while Rachel was so late in her pregnancy? Ephrath was later renamed Bethlehem, thus the journey was a long one, from Bethel in the north to Bethlehem well south of Jerusalem. The text seems to imply Rachel unexpectedly went into labor. No warning is given in the previous verses of Rachel's condition. Henry Morris proposed Benjamin's birth came prematurely. He states it is likely Jacob was at least 105 years old at this time, so Rachel too was very old. The strain of a premature delivery, and the conditions not being ideal, combined to end Rachel's life. Her baby, however, was born a healthy boy. The midwife assisting Rachel informed her of the baby boy in verse seventeen, upon which Rachel's response was less than enthusiastic. "And it came about when she was in severe labor that the midwife said to her, 'Do not fear, for now you have another son.' And it came about as her soul was departing (for she died), that she named him Ben-oni, but his father called him Benjamin." There were not many things more important to the ancient Hebrews than one's name. It identified one's blood lineage and tribal lineage. It's meaning carried significance, and often shaped the identity and nature of it's bearer. Rachel, on her deathbed, named her newborn son Ben-oni. This translates as; "the son of my sorrow". Such a name was unacceptable for Jacob's newborn baby boy, despite the death of his beloved Rachel. One must remember Rachel was the first choice of Jacob. It was her he loved most, and the two sons she gave him were his favorites. Jacob, however, was obviously displeased with the name, and renamed the child Benjamin. Benjamin translates as "the son of my right hand". This was a name fitting for a son of Israel. In Jon Bright's book, A History of Israel, he points out the names of the early patriarchs fit "perfectly in a class known to have been current in both Mesopotamia and Palestine in the second millennium". The name Jacob occurs in an eighteenth century find from upper Mesopotamia as a Hyksos chief. Abraham has been identified amongst Babylonian texts, and possible from the Egyptian Execration Texts. During the eighteenth century ancient Mari began a revival of sorts. The Akkadian kingdom had suffered decline, yet under Zimri-Lim Mari flourished as before. In his extremely large palace 25,000 cuneiform tablets were unearthed. These tablets were written in Akkadian. As Michael Grant points out in his book The History of Ancient Israel, Akkadian was the diplomatic language of the time. He also points out that Mari "possessed a north-western Semitic nomenclature", Amorite in nature. This is very similar to the ancient Hebrews, also of Semitic stock. In fact, many biblical names appear in these tablets as well. Scholars point out, however, that these references do not refer to the Biblical characters themselves. It does prove, though, that the narratives and details of the old Testament are in compliance with the nature of the time period. The name Benjamin occurs in one of these Mari Texts. The name banu-yamina occurs in a reference to an Amorite tribe, interestingly enough. Abraham formed bonds of friendship with Amorites upon arriving in Canaan. However, under the kings Og and Sihon, the Amorites would wage war on Israel under Moses. The tribe of Benjamin in the Mari texts were known as the people of the south. They were a nomadic people, non-sedentary in nature and were said to have roamed far and wide. In ancient depictions the Amorties are pictured as being massive in stature, and fierce, cruel, ruthless warriors. Israel, however, subdued them in the Transjordan prior to the battle of Jericho while still under the leadership of an aged Moses. The tribe of Benjamin claimed descent from Benjamin the twelfth son of Jacob. Interestingly Benjamin was the only son of Jacob's born in Palestine. The other eleven were all born in Aram-naharaim during his stay with Laban. Benjamin's mother, as discussed above, was the most loved by Jacob, thus her two sons were Jacob's favorite. Jacob was old in age when Benjamin was born, as were his other eleven brothers. As previously stated, it is likely Jacob was over 105 years old at the time. With the death of Rachel, the child had no mother. Naturally Leah would have stepped in, along with the handmaidens and other servants. Thus, in essence, Benjamin was everybody's child. Though Scripture does not provide such details, it would seem all of Jacob's sons probably helped raise the lad as well. Jacob, being so old, was certainly limited in his capabilities. Regardless, experience teaches in such circumstance discipline often slips by the wayside. Indeed the tribe of Benjamin exhibited extreme lacks of discipline throughout the Old Testament. As will be seen, Jacob's blessing of Benjamin may not be all that flattering either, though he was Jacob's second favorite. Immediately following the birth of Benjamin in Genesis 35 Jacob and his family are pictured as continuing south to Mamre. Jacob's father Isaac dwelt there. Isaac was either near death, or had just died, as Jacob and his family arrived. The chronology of the Scripture suggests Isaac died shortly after Jacob's arrival. It is likely Benjamin was an infant, thus probably had no recollection of his grandfather Isaac. The next mention of the individual Benjamin is found in Genesis 42:4. "But Jacob did not send Joseph's brother Benjamin with his brothers, for he said, 'I am afraid that harm may befall him.' "
Severe famine had struck Canaan, and Scripture records that "the people of all the earth came to Egypt to buy grain". Israel saw no other option but to send his sons, and in verse one of Genesis 42 he asks them; "Why are you staring at one another?" It would seem things had gotten so bad there was nothing else to do but go to Egypt. Thus, Jacob sent his sons, with the exception of Benjamin the youngest. A couple of reasons may exist for this. One may simply be that Benjamin was still too young to take on such a journey, and would have been more of a hindrance than a help. Another reason may be Jacob was more concerned with the well being of this son than he was with the other eleven. It becomes clear later in the narrative that Jacob did look differently upon Benjamin. He was the brother of Joseph, son of Rachel. Both Joseph and Rachel had been Jacob's favorites, and as far as he knew both of them were dead. Benjamin was the last reminder, and Jacob did not plan on losing him. It is probable that both reasons likely played into Jacob's decision to leave Benjamin behind, though certainly he was Jacob's favorite. Thus the other eleven sons of Jacob set out for Egypt. The Joseph narrative is quite extensive, thus suffice it to say the narrative will be abbreviated for our present purpose. Joseph at once recognizes his brothers, yet they fail to recognize him. Joseph accuses his brothers of being spies, at which point they state where they are from and the members of their family in an effort to quell Joseph's suspicions. He immediately arrests them and throws them in jail for three days. Joseph then sets his brothers free, except for Simeon, who is held in jail. Joseph orders the brothers that Simeon will be kept until they return with the younger brother they claim to have. This will prove their innocence of spying, and Joseph would release Simeon. Jacob, obviously, refuses to let Benjamin go. On one hand his reaction to Simeon is quite cold, though the father-son relationship appears to have gone south after the slaughter of Shechem, as is evident in the Jacob's cold blessing of Simeon. Israel's sole concern is the safety of his youngest child Benjamin. His response to Simeon's imprisonment and the demands for his release is in Genesis 42:38. "But Jacob said, 'My son shall not go down with you; for his brother is dead, and he alone is left. If harm should befall him on the journey you are taking, then you will bring my gray hair down to Sheol in sorrow." Jacob chose to let Simeon stay in jail, rather than sacrifice the loss of his youngest son Benjamin. Benjamin would have represented all that was good in Jacob's long life. He was the second son of his favorite wife Rachel, and the brother to his beloved Joseph, lost years earlier. However, their food soon ran out, and the need for grain mandated another trip to Egypt. All the while Simeon sat in an Egyptian jail cell, uncertain of whether he would live or die. This time, however, Jacob's sons refused to go without their brother Benjamin. As Judah pointed out, the trip was futile without him, for "the man", as Joseph is referred to, demanded Benjamin's presence. Judah placed his life on the line in exchange for something happening to Benjamin. Jacob had no choice but to reluctantly submit to their demand and released Benjamin for the long and dangerous journey. Thus Joseph and his biological younger brother are united. Not before, however, Joseph poses one last test for the brothers, using Benjamin as the bait. Genesis 43 depicts the brothers return to Egypt, this time with their youngest brother Benjamin. In verse sixteen Joseph sees his younger brother for the first time in his life. "When Joseph saw Benjamin with them, he said to his house steward, 'Bring the men into the house, and slay an animal and make ready for the men are to dine with me at noon." The brothers became afraid when they heard of Joseph's invitation. Joseph's steward assured them to be at ease. Joseph soon joined them, yet was unable to keep his composure upon seeing his brother again. His reaction to Benjamin's presence is recorded in verse twenty-nine and thirty. "As he lifted his eyes and saw his brother Benjamin, his mother's son, he said, 'Is this your youngest brother, of whom you spoke to me?' And he said, 'May God be gracious to you, my son.' And Joseph hurried out for he was deeply stirred over his brother, and he sought a place to weep; and he entered his chamber and wept there." The scene is incredibly moving. Joseph, sold into slavery by his brothers, imprisoned unjustly, accused unjustly, rose to be lord over all of Egypt second only to Pharaoh himself, and he cannot control his emotions as he casts his kingly glance upon his younger brother Benjamin, his mother's son. The Hebrew word used to describe Joseph's reaction to his brother literally means compassion, by extension the word was applied to the act of the womb cherishing the fetus. The word has also been translated as damsel, tender love, mercy. The feeling was so powerful it was hard to define with one word. The best comparison of Joseph's feeling toward Benjamin was that of the womb nursing and cherishing a fetus. Indeed this bond carried over to the tribe of Benjamin and the tribes of Ephraim and Manasseh, the two sons of Joseph. These tribes were close throughout the Old Testament, perhaps closer than any other of the tribes of Israel. Their bond was formed in this instant, recorded by Scripture. The tribes of Joseph were destined to stand by the tribe of Benjamin, as God had destined Joseph to stand by the side of his brother before they both died. Yet Joseph was not done testing his other eleven brothers. After recomposing himself he dines with them. He restores Simeon to them, and sets before them portions from his own table. Scripture reveals Joseph's favoritism towards Benjamin in verse thirty-four. "And he took portions to them from his own table; but Benjamin's portion was five times as much as any of theirs. So they feasted and drank freely with him." The scene has a sense of merriment about it. However, Joseph's deception was already in motion. After dinner the brothers spent the night with Joseph. In the morning he set them on their way with provisions. However, the previous night he had planted his royal silver cup in the bags of Benjamin. His intention was to frame his younger brother for stealing his cup in an effort to test the loyalty of his other eleven brothers. Were they going to feed young Benjamin to the wolves as they did he years ago. Or, had they changed? Had his brothers realized their sin and confessed before God Almighty, the God of their father Jacob? Obviously the bond between Jacob and the two sons of Rachel was more significant than that of his other eleven sons. This favoritism, however, came at a price. It was because of this that Joseph was sold to gypsies in the first place. It surely led to the atrocities committed by Levi and Simeon on Shechem. They were reckless and cared not for the thoughts of their father Jacob, nor could he control them. Had things remained the same throughout all of these years? Genesis 44 records the setup by Joseph. Scripture says the brothers "had just gone out of the city, and were not far off" when Joseph summoned his house steward to overtake them and bring them back under accusation. Verses twelve through fourteen depict the shakedown. "And he searched, beginning with the oldest and ending with the youngest, and the cup was found in Benjamin's sack. Then they tore their clothes, and when each man loaded his donkey they returned to the city. When Judah and his brothers came to Joseph's house, he was still there, and they fell to the ground before him." The intense feeling for Benjamin comes out in the reaction of the eleven brothers. There is no debate as to who returns home and who goes back with the lad. They all immediately tear their clothes, load up, and head back as one. Whereas in their previous dealings the brothers appear to speak as one, it is now that Judah steps to the fore front. It must be recalled that earlier Judah took responsibility for Benjamin to his father. Interestingly, the tribe of Benjamin was one of three tribes to form the southern kingdom. The tribe of Benjamin switched their allegiance from the north and the house of Saul, to the south and the house of David after the death of Saul's son Ish-bosheth. One wonders if the men of the tribe of Benjamin recalled the day when Judah, the son of Jacob, offered himself in place of their progenitor, young Benjamin, as they debated the decision to switch allegiance. It is almost certain this very instance and passage was discussed by these men. The tribe of Benjamin would become the right hand man to the tribe of Judah, mirroring the meaning of the name Benjamin. The brothers believe this evil has befallen them from God as consequence for their treatment of Joseph. Such is suggested by Judah's response. "What can we say to my lord? What can we speak? And how can we justify ourselves? God has found out the iniquity of your servants; behold, we are my lord's slaves, both we and the one in whose possession the cup has been found." This is a remarkable statement by Judah, and an amazing display of loyalty and lover for their youngest brother Benjamin. These were not the same men from the earlier chapters of Genesis. There was no discussion indicated by Scripture. It was understood; they were all going into slavery with Benjamin. They could not, and would not, return to their father to watch him die. They would stay, and watch over their brother as much as possible in slavery. Joseph orders them to return home, only the one found guilty shall stay and be his slave. Judah dares to step forward, and delivers a sixteen verse plea on behalf of Benjamin, record in Genesis 44:18-34. The last two verses close his plea in a moving gesture of self-sacrifice on the part of Judah. "Now, therefore, please let your servant remain instead of the lad a slave to my lord, and let the lad go up with his brothers. For how shall I go up to my father if the lad is not with me, lest I see the evil that would overtake my father?" This solidified in Joseph's mind that his brothers had truly changed. They were willing to lay down their lives in exchange for that of Benjamin, said by Judah to have been a lad at this time. Perhaps this suggests a boy in his later teenage years. The exact age is not given in Scripture. Regardless, Genesis 45 opens with Joseph losing control of himself and sending everybody but his brothers out of the room. Joseph reveals himself to his brothers, falling and weeping on the neck of Benjamin in verse fourteen. "Then he fell on his brother Benjamin's neck and wept; and Benjamin wept on his neck. And he kissed all his brothers and wept on them, and afterward his brothers talked with him." The reunion, thus, was one of joy and tears. The family had been united, ill wills forgotten, and sins confessed before God Almighty. Immediately Joseph sent them back, fully equipped, to retrieve their father. Jacob's response to the joyful news of his sons is recorded in Genesis 45:27-28. "When they told him all the words of Joseph that he had spoken to them, and when he saw the wagons that Joseph had sent to carry him, the spirit of their father Jacob revived. Then Israel said, 'It is enough; my son Joseph is still alive. I will go and see him before I die." Jacob and his family, Scripture records seventy in all, set out for Egypt. There they settled in the land of Goshen. Whereas one man and his family willingly and joyfully settled, a confederation of tribes centuries later would take flight. Each of the sons of Jacob also accompanied their respective father into Egypt. The sons of the lad Benjamin are given as if they had journeyed into Egypt. This, seemingly, would have been impossible based on the implication from the narrative. Henry Morris states Benjamin was probably no more than twenty-five years of age. Though unlikely, it is possible ten sons could have been born to Benjamin in this short period. He may have had multiple wives, as his father did. Though it is more likely, states Morris, these children were "in the loins of Benjamin", thus in that sense they did sojourn into Egypt. Regardless, they surely would have been counted among the members of Jacob's family entering Egypt, thus they are added to the list to make seventy. The sons of Benjamin are first listed in Genesis 46:21. "And the sons of Benjamin: Bela and Becher and Ashbel, Gera and Naaman, Ehi and Rosh, Muppim and Huppim and Ard." The descendants of Benjamin are given in Numbers 26:38-41. This is the family tree of the tribe of Benjamin, starting with Benjamin and his ten sons. "The sons of Benjamin according to their families: of Bela, the family of the Belaites; of Ashbel, the family of the Ashbelites; of Ahiram (Ehi), the family of the Ahiramites; of Shephupham (Muppim), the family of the Shuphamites; of Hupham (Shuppim), the family of the Huphamites; And the sons of Bela were Ard and Naaman: of Ard, the family of the Ardites; of Naaman, the family of the Naamites. These are the sons of Benjamin according to their families; and those who were numbered of them were 45, 600." Thus grandsons of Benjamin's are given. Though Scripture does not record if Benjamin lived to see his grandsons, it is quite likely that was the case. Once the family settled in Goshen, they did not leave for another four centuries. This would mean there was very little migration from Goshen. Thus families and neighbors would have lived and died with each other for generations. The community in Goshen ostensibly would have been a close knit, intimate community. A second list of Benjamin's sons and grandsons is found in I Chronicles 8. This lists the entire genealogy from Benjamin to Saul, and will be discussed in context with the tribe of Benjamin. The blessing of Jacob, given above, has been interpreted a number of different ways by scholars over the years. In it, Jacob compares Benjamin to a "ravenous wolf". Benjamin is depicted as taking his prey in the morning, and dividing the spoil in the afternoon. The tribe of Benjamin was a ravenous tribe, warlike, and often associated with feats of strength and ability in war. Some have interpreted Jacob's Blessing as a forecast of the tribe of Benjamin and its warlike nature. Others have pointed out to specific members of the tribe, such as Ehud or Saul, as fulfillment of Jacob's prophecy. These men were skillful on the battlefield, and rose to a position of leadership in their day. Jacob's Blessings of his sons tend to lend themselves to the nature of that particular tribe in many instances. The tribe of Benjamin falls into this category. They were a ravenous tribe on the battlefield. As wolves are associated with hunting, so the men of the tribe of Benjamin were known for their skill in war and killing. As will be seen, they were athletic on the field of battle. It may not be too presumptuous to say they were the muscle behind the southern kingdom of Judah after David's death. Jon Bright discusses the origin of each of the 12 tribes of Israel in his book, A History of Israel. Bright indicates the identification of each of the sons of Jacob by a different birth mother represents "an awareness of unequal degrees of kinship among the clans". This warrants further discussion. The tribe of Benjamin descended from the son of Benjamin, youngest son of Rachel. Thus, the tribe of Benjamin was a tribe of full blood origin. Tribes such as Gad, Asher, Dan and Naphtali were considered as "concubine tribes", thus their degree of kinship was not to the degree of the tribe of Benjamin or Joseph, as well as those tribes born of Leah. However, Bright neatly points out the birth mother did not limit the tribes in their ability to rise to the front or shrink into obscurity; nor is there any evidence to indicate some tribes "stood on a lower footing". The tribe of Benjamin illuminates Bright's statement in regards to the equality and standing of the tribes. Full blooded tribes were not guaranteed status and prosperity. Rebuen and Simeon were of the mother Leah, and both seem to have lost significant influence within the twelve tribes of Israel. On the other hand, Barak, the victorious Israelite general, lived within the borders of the concubine tribe of Naphtali. The tribe of Benjamin was of the mother Rachel, Jacob's favorite, yet the smallest of the tribes. Thus in many instances the tribe of Benjamin would naturally have been overlooked, or their opinion thought of as insignificant, despite their ancestry. Saul suggests as much when told he will be anointed king. The influence and weight carried by the tribe of Benjamin would not have been considerable. However, the tribe would produce the first king of Israel, king Saul. Such is the dichotomy of the tribe of Benjamin. "Of the sons of Benjamin, their genealogical registration by their families, by their fathers' household, according to the number of names, from twenty years old and upward, whoever was able to go out to war, their numbered men, of the tribe of Benjamin, were 35, 400." The only tribe with fewer fighting men was the familiar tribe of Manasseh. As is consistently the case throughout Scripture, the tribe of Benjamin is regularly mentioned and associated with the tribes of Ephraim in Manasseh. In this case, the Benjamin and Manasseh are the two smallest of the 12 tribes of Israel. The leader of these men is given in Numbers 2:22. Abidan, the son of Gideoni was in charge of the Benjamite army. The men of Benjamin were a fierce, athletic, skilled, and deadly lethal army of warriors. The tribe perhaps best manifested Jacob's Blessing of a "ravenous wolf" in their prowess and skill on the battlefield. In Judges 20:16 warriors from the tribe of Benjamin were said to have been able to "sling a stone at a hair and not miss". I Chronicles 12:2 further sheds light on the Benjamite's ability to fight. "They were equipped with bows, using both the right hand and the left to sling stones and to shoot arrows from the bow; they were Saul's kinsmen from Benjamin." These men were ambidextrous warriors, capable of fighting and killing with both hands. This is a most difficult task, reserved only for the most athletic of individuals. It would seem likely, though Scripture sheds no light on such, the men of Benjamin were trained in ambidextrous warfare, as well as in assassination. Ehud carried out a left-handed assassination of Eglon, though Scripture indicates he was left-handed. The central fact of the story was his assassination of Eglon. The Benjamites were experts with the bow and the sling, thus their craft required them to be capable from many angles, directions, and with both hands. The tribe of Benjamin possessed unique warriors, perhaps the Special Forces of the 12 tribes of Israel. Throughout much of the reign of David's descendants, the tribe of Benjamin appears often as the muscle behind the crown of Judah. I Chronicles 8:40 speaks of the sons of Ulam from the tribe of Benjamin. His family is the last listed in the genealogy from Benjamin through king Saul. This list consists of all forty verses found in chapter eight. These men were "mighty men of valor", and all of them were of the sons of Benjamin. The tribe of Benjamin was one of the few tribes which prospered between the time of the Exodus and the entry into Canaan. Perhaps their ability to fight enabled them to survive more skirmishes in the wilderness. Perhaps their training in military ways included a degree of survival training which exceeded their brethren. Perhaps they were just of sturdier stock than the other tribes. God blessed the tribe regardless. He instructed Moses to take a second census, a census of the new generation, so as to organize them for the impending invasion. Numbers 26:38-41 relates the size of the Benjamite army. 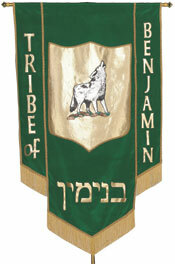 The clans of the tribe of Benjamin take their name from the particular son of Benjamin from which they descended. Each of these clan's were a separate entity, yet united under the tribal banner of Benjamin. All together the clans numbered 45, 600 men. These were some of the fiercest warriors in the ancient Near East. They would play an integral role in the upcoming conquest and settlement of the land of Canaan. Abidan appears again as the leader of the tribe of Benjamin in Numbers 7:60 as the tribal leader that offered up the sacrifice at the anointing and consecration of the Tabernacle. Interestingly, another great member of the tribe of Benjamin is given in . However, this man lets the tribe down by his lack of faith in Elohim. In this particular chapter Moses is sending out spies from each of the twelve tribes to spy out the land of Canaan. He gives them strict instructions on what to look for; size of the cities, defenses, the food supply, water supply, etc. From the tribe of Benjamin the man Paltiel, son of Raphu, is selected by Moses as one of the twelve. In verse twenty-five the spies give their report to Moses and the people. Though Paltiel is not mentioned by name, the only two faithful spies were Joshua and Caleb. Thus, Paltiel would have been among the unfaithful spies whose report caused the people to "grumble against Moses and Aaron". As with the previous generations of Israel, there was a majority which lacked faith, yet a faithful remnant which prevailed because of God Almighty. An interesting point is made concerning the tribe of Benjamin in Judges 1:21. As discussed above, the city of Jebus, the same as the city of Jerusalem, belonged to the tribe of Benjamin according to at least one town list in Joshua. However, Scripture is vague as to exactly which tribe Jerusalem belonged to; the tribe of Benjamin, or the tribe of Judah, as the city is also listed with Judah. The answer, perhaps, is found in this verse. "But the sons of Benjamin did not drive out the Jebusites who lived in Jerusalem; so the Jebusites have lived with the sons of Benjamin in Jerusalem to this day." Scripture makes it plain the tribe of Benjamin, despite their fierceness in battle, was unable to drive the Jebusites from Jebus. Thus, the two coexisted within close proximity to each other in the surrounding countryside and hill tops. This would remain the case up until the time of David. The dating concerning the events prior to the Monarchy is questionable at best, and a hotly debated topic. However, it is widely agreed that David became king approximately around 1000 B.C. Though specific years vary, this is the general time frame David is believed to have existed. As stated previously, he was the one who took Jebus. Jebus became Jerusalem, and eventually the capital of the southern kingdom of Judah. However, there was a significant amount of time prior to David in which the tribe of Benjamin seemed to have coexisted with the Jebusites in the surrounding areas. This would seem to account for the uncertainty surrounding the identity of Jerusalem. The city has a distinct history with each of the two tribes. Even after the destruction of Jerusalem in 586 B.C., Scripture indicates certain men of the tribe of Benjamin remained behind and dwelt in the nearby areas. The Old Testament book of Nehemiah speaks of the rebuilding of Jerusalem under Ezra, as a result of the decree of Cyrus years earlier. The opening verses of chapter eleven states "the leaders of the people lived in Jerusalem". Everybody else had to cast lots, and only one out of ten was allowed to live in Jerusalem. The exception were certain families from the tribe of Benjamin and the tribe of Judah as stated in verse four. This privilege was surely a tribute to the two tribes extensive history and ties with the city and surrounding area. Verses seven and eight name the men from the tribe of Benjamin and give their number as 928. The book of Nehemiah spans the years from 457 - 432 B.C. Thus the tribe of Benjamin is extensively tied to the heart of the Holy Land. When viewed in context with the Blessing of Moses, this fact becomes a beautiful fulfillment of Biblical prophecy, at least according to some scholars. Prior to the death of Moses, whom God denied entry into the land of Canaan, he blessed the 12 tribes of Israel. His blessing for the tribe of Benjamin is found in Deuteronomy 33:12. "Of Benjamin he said, 'May the beloved of the Lord dwell in security by Him, Who shields him all the day. And he dwells between His shoulders." Moses' blessing to the tribe of Benjamin has drawn many theories as to its interpretation and meaning. Clearly the verses indicate God will protect Benjamin, and Benjamin resides "between His shoulders". The image is one of security, flanked by the shoulders of God, protected by His presence on all sides. It is a remarkable blessing, especially fitting for a tribe which would exhibit military prowess and put itself consistently in the line of fire for God Almighty. He would thus protect the sons of Benjamin on all sides from dangers seen and unseen. Ernest L. Martin published an article entitled, The Tribe of Benjamin, in 1974. In his article he sheds further light on the blessing of Moses concerning the tribe of Benjamin. Martin associates this prophecy to the Temple built by king Solomon. He points out the border of the tribe of Benjamin is described in Scripture as incorporating all of the city of Jebus. The city of David, thus, fell within the tribal allotment of Benjamin, not Judah. In time the city became attached permanently to the southern kingdom upon David's establishment of his palace there. Yet, as far as Moses blessing is concerned, the tribe of Benjamin was to dwell in the presence of God, between the very shoulders of God. Martin states further; "The Temple site was in the center of the city of Jerusalem in the highlands, the shoulder lands of Palestine. In the midst of the shoulder of Palestine the Temple of God was to be placed"
This is a remarkable interpretation of the blessing of Moses. Though only one view, it certainly complies with the facts from Scripture concerning the tribe of Benjamin and its boundaries in the land of Canaan. It is true Jerusalem has seen more than its share of war and conflict, yet the Jewish people remain as a people today. The Temple Mount continues to be the center of Jewish life. The fragile "peace" of today has emerged from thousands of years of conflict and blood, and the God of Abraham, Isaac and Jacob continues to protect His faithful remnant today as He did in the days of old. One of the earliest heroes of Israel during the era prior to the Monarchy hailed from the tribe of Benjamin. The ravenous aspect of the tribe begins to manifest itself immediately after the settlement of the land. It is as if the defeat at the hand of the Jebusites sparked the tribe of Benjamin, for throughout the rest of the Old Testament they are waging war on Canaanites, oftentimes successfully. Such was the result in the case of the Moabite oppression under king Eglon. The tribe of Benjamin was central to the deliverance of the sons of Israel. In Judges 3:12, the Israelites are said to have "done evil in the sight of the Lord". God, in turn, gave Eglon King of Moab power and authority over the Israelites in that region for 18 years. 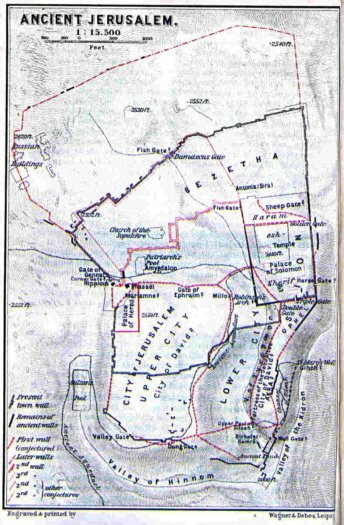 Eglon captured and controlled the strategically important city of Jericho. The Amorites had conquered the heartland of Moab years earlier, which had in turn been conquered by the Israelites and given to Gad and Rebuen. Moab was severely crippled with the defeat of the Amorites, and constantly looked to expand westward, as the desert lie to the east. Thus they took this opportunity to push across the Jordan into Jericho. Jericho was located within the tribal allotment of the tribe of Benjamin. Thus, the Benjamites were the direct recipients of Eglon's wrath and oppression. His dominion in the area would have had dire consequences on some of Israel's most powerful tribal leaders. From ancient Jericho, he would have exacted payment of taxes and tribute upon the tribe of Benjamin and neighbors, as well as claimed the farmland and fields from the area for his kingdom. This would have put a severe strain on the people of Benjamin and the immediate hill country of Ephraim. The Ephraimites would have been directly involved, as would have the tribes of Judah and Manasseh. The Bible tells us that Eglon sought the assistance of the Ammonites and Amalekites to join him in his conquest. This would have been a natural alliance, as Moabites, Ammonites, and Amalekites all shared an equal hatred for Israel. The Moabites and Ammonites are descended from the same line. After Sodom and Gomorrah were destroyed, Lot, the nephew of Abraham, fled with his daughters to the caves around the Dead Sea. His daughters, afraid of dying without any sons, schemed together and tricked their father Lot into sleeping with them. The incestuous relationship produced two male children. The oldest daughter bore Moab, the ancestor of the Moabites, and the younger bore Benammi, the ancestor of the Ammonites. The Amalekites were descendants of Esau. Esau was the eldest son of Isaac, and had a younger brother named Jacob. Twice in the Bible Jacob manipulates Esau, once taking his birthright, the second taking his blessing. Jacob would later produce eleven sons, out of which the twelve tribes ( actually 13 ) of Israel were founded as a result of this deception. It has already been established the Amalekites felt a deep seeded resentment of Israel. They had not lost heart despite their defeat by Joshua years earlier. With the assistance of Eglon and Moab, they saw an opportunity to exact revenge. The tribe of Benjmain stood in the direct line of conquest. Judges 3:13 reveals that this alliance, under the leadership of Eglon, King of Moab, attacked Israel, and drove the Israelites back from Jericho, up into the hill country of Ephraim. It is highly likely many fled to Jerusalem, eight miles from Jericho in the Western Mountains of Canaan. They reclaimed land north of the Argon River, and seized control across the Jordan River. They took possession of Jericho and enslaved the tribe of Benjamin and Israel for 18 years. The heartland to Israel lay wide open for Eglon and his allies. God would once again send an unlikely deliverer. This man was Ehud, described in Judges 3:15. "But when the sons of Israel cried to the Lord, the Lord raised up a deliverer for them, Ehud the son of Gerar, the Benjamite, a left-handed man." Ehud belonged to the tribe of Benjamin. Thus the deliverer arose from the very land of the oppressed. The tribe of Benjamin would exhibit time and time again brave warriors and ability in war and battle. Ehud was the first of such men from the tribe of Benjamin that Scripture records during the time of the Judges. His name translates, "he that praises", thus, he was a seemingly righteous man. However, the fact Scripture indicates he was left handed provides an interesting insight into this man. The more literal interpretation is, "was hindered in his right hand". The implication is one of an inability to used the right hand. Ehud, thus, was disabled in the right hand. He possessed a handicap of some sort in his right hand, which forced him to become left-handed. The tribe of Benjamin is later shown in Scripture to possess warriors with the ability to use both the left and the right hand. It is interesting such an association between the left hand and the tribe of Benjamin seems to manifest itself throughout Scripture. The Bible tells us the "sons of Israel" had sent the tribute to Eglon by the hands of Ehud. The text implies the tribe of Benjamin was not the only one involved. Men from Judah, Ephraim and Manasseh were also possibly intimately involved in the affairs of the region as well. Jericho was a strategic city, important to the well being of each tribe in the area. Jerusalem sat mere miles from Jericho. Jerusalem was the seat of the tribe of Judah, and later the southern kingdom of Judah. During this time, however, it would seem Jerusalem was occupied primarily by the Jebusites, though men of Judah and Benjamin probably settled nearby as well and the two coexisted, however precariously. This is why the selection of Ehud is especially interesting. As a one handed, crippled man, Ehud posed no threat to the King. He seemed to be an unlikely deliverer. God works in just such ways. He takes the lame and insignificant, and delivers a nation. Ehud, however, had trained himself secretly and faithfully under the Lord's instruction and was ready for his mission. Indeed the tribe of Benjamin seemed to possess a unique training, exhibited here by Ehud. God was daring His people to imagine how much more He could accomplish with a devoted nation acting as Ehud had. Not only was Ehud carrying the tribute, but he was carrying a double edged sword as well. Scripture relates Ehud had fashioned "a sword which had two edges, a cubit in length". Ehud strapped this double edged sword on his right thigh, underneath his cloak. Scripture said the sword was a "cubit" in length. A biblical cubit was a measurement of length based on the distance between the tip of the middle finger and the elbow. Generally, cubits ranged from 17 to 22 inches in length. The sword, thus, was just over a foot-and-a-half long. Though Scripture does not go into detail about the route Ehud took, he ventured to the ancient city of Jericho from the north. He and his men journeyed from the hill country of Ephraim, which lay to the west of Jericho. Scripture does not state if Ehud was dwelling within the land of the tribe of Benjamin, or that of another tribe at the time. The roads plunged precipitously into Jericho from the hill country above. Ehud journeys to Jericho carrying tribute for the king. He delivered the tribute to Eglon, "who was a very fat man (3:17)", then left with his men for home. However, shortly after departing, Ehud turned back, feigning a secret message for the King. Judges 3:20-22 describes Ehud's fearless act once he was alone with the King. "Ehud then approached him while he was sitting alone in the upper room of his summer palace and said, 'I have a message from God for you.' As the King rose from his seat, Ehud reached with his left hand, drew the sword from his right thigh and plunged it into the King's belly. Even the handle sank in after the blade, which came out his back. Ehud did not pull the sword out, and the fat closed in around it." Ehud then snuck out of the palace, avoided the guards, and fled. The exact location of Seirah is not known. It was located within the Ephraimites tribal boundary in the hill country of Ephraim. The fact he was able to signal the other tribes with a trumpet suggests it was in one of the nearby valleys or mountains. This part of the hill country rested on the border of the tribe of Benjamin and Ephraim. Israel would have put aside petty tribal differences to drive out foreign aggression. Ehud, in fact, led a band of men from these united tribes through ancient Jericho to the banks of the Jordan and seized some nearby fords. This prevented the Moabites from fleeing back to Moab. Israel's forces then caught up with their enemies, and slaughtered "about ten thousand Moabites" (3:29). Scripture concludes by stating Moab was subdued that day, "under the hand of Israel". The wording here is interesting, as Ehud executed an underhanded assassination of King Eglon. Israel then captured the fords ahead of the Moabites, turning back to slaughter them as they fled from Jericho upon the news of Eglon's death. It is also significant to point out Scripture does not make note of the walls of Jericho. The walls of Jericho had apparently been significantly reduced from the time of Joshua. The Benjamites and other warriors swept through the city with ease, pursuing hard on the heels of the fleeing occupiers. Though Scripture does not indicate the makeup of this group of men, calling them only "the sons of Israel", it was likely a conglomeration of tribal representatives from the tribe of Benjamin, Ephraim, Manasseh, Judah, and perhaps even others as well. Scripture records instances of contingents being sent from distant tribes to aide in war and defense. This is significant because the sons of Israel were still uniting to fight off common enemies at this point in the Old Testament. It is quite likely Ephraimites and Judahites fought side by side with Ehud at the fords of the Jordan. The three most political tribes of Israel; the tribe of Benjamin, the tribe of Judah, and the tribe of Eprhaim, fought side by side with a common purpose and goal. Such will be the case again one day, when all of God's chosen will be united under His kingdom. Ehud's bravery displayed in Jericho brought 80 years of peace and freedom to the region. The tribe of Benjamin had proven itself valiant in battle, leading the uprising, which succeeded because of Ehud's faithfulness to God Almighty. When the people repented, God delivered. It is this cycle of defiance, repentance and deliverance that is the driving force of the Old Testament, and the prime example of God's grace. Jon Bright claims Ehud's deliverance likely occurred in the early twelfth century. Along these lines the span of the Judges lasted at least close to two hundred years until the Monarchy was established. The tribe of Benjamin was involved in another major battle found in Judges 4. The Israelites became oppressed by Jabin, king of Hazor. As staed above, Jabin was probably a name given to the king of Hazor. Scripture tells us his commander was Sisera, who lived in Harosheth-hagoyim. Scripture records Jabin "oppressed the sons of Israel severely for twenty years". This oppression came about because "the sons of Israel again did evil in the sight of the Lord". This battle takes place in the same general area as the Battle at the Waters of Merom. The oppressing forces of king Jabin are said to have had nine hundred iron chariots in Judges 4:3. Verse four introduces the key figure in the narrative, who just happens to reside in or near Bethel, another city of the tribe of Benjamin which appears to have been absorbed by the tribe of Ephraim. "Now Deborah, a prophetess, the wife of Lappidoth, was judging Israel at that time. And she used to sit under the palm tree of Deborah between Ramah and Bethel in the hill country of Ephraim and the sons of Israel came up to her for judgment." Ephraimites, Benjamites, men of Manasseh and Judah, amongst others were coming to have their disputes settled by Deborah. The hill country of Ephraim once again found itself at the center of Jewish life. It is interesting the tribe of Benjamin is at the center of this narrative, as well as the previous concerning Ehud. Though the smallest tribe, its inheritance placed it at the center of attention. God then revealed to Deborah to call on a man of the tribe of Naphtali to deliver the Israelites. Her command from God was given to Barak in Judges 4:6. Though hesitant, Barak answered Deobrah's call only if she would accompany himself and the army. The battle would take place near the Kishon River, in the Jezreel Valley. Megiddo was a Canaanite stronghold, and a very strategic city, as it controlled the Jezreel Valley, and access into the heartland of Canaan. It is in this exact spot that John envisioned the battle of Armageddon taking place in Revelation. The battle was not an evenly matched affair on paper. The Canaanite forces under Sisera comprised of 900 iron chariots, as well as other military units. The Israelites possessed no such chariots. The plain provided the ideal geography for waging war with chariots. The Israelite foot soldiers would be no match in the open plain for the iron, horse driven chariots. 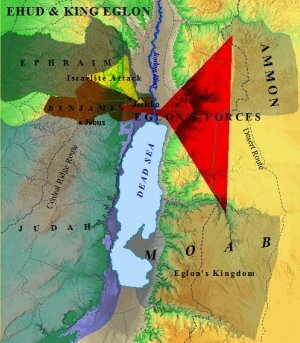 The Holman Bible Atlas states the Canaanite forces under Sisera gathered near the Wadi Kishon, below Mt. Tabor. The Canaanite chariots would be most effective here. However, the Kishon River was swollen due to recent rains. This rendered the Canaanite chariots useless. Thus, in verse 14 Deborah gave Barak the command to attack. The battle began with the men of Naphtali and Zebulun composing the majority of the forces, however the skilled men of the tribe of Benjamin were surely at the forefront of the action as well. The Song of Deborah suggests such in Judges 5:14. "From Ephraim those whose root is in Amalek came down, following you, Benjamin, with your peoples;"
Men from Ephraim and Benjamin, often mentioned in conjunction with each other throughout the Old Testament, answered the call to arms and were praised by Deobrah. The recent rains neutralized the Canaanite chariot division, and they were routed by the Israelites. Barak and his men drove the Canaanites "as far as Harosheth-hagoyim". Archaeology places Deborah and Barak around 1125 B.C., though this is far from certain. It is further evidence of Israel's inability to occupy the Esdraelon Plain and Jezreel Valley. Jon Bright makes note of the twelfth century influences in the region which severely crippled Israelite efforts. Bright points out the Esdraelon was ruled by an alliance between the local Canaanites and "Aegean elements". He notes Sisera may have been a part of this Aegean element, indeed the name is Aegean in nature. Interestingly, I Maccabees associates the Israelites with the Spartans of Greece, Aegean as well in nature. A strong Greek/Aegean/Mycenaen connection seems to permeate the history of the ancient Near East. The tribe of Benjamin again proves itself worthy of praise. Oppression and invasion would soon rear its head again, however, this time from east of the Jordan River. The Old Testament illuminates the fact Israel faced threats from all sides, as is the case in the modern day. This time the threat came from the Ammonites. Modern day tensions in the West Bank can be traced back to the very beginnings of Israelite history, as recorded in the instance of the Ammonite oppression. The sons of Ammon made their headquarters in the modern day city of Amman, the capital of Jordan. The tribe of Benjamin was just one tribe of Israel to feel the sting of the Ammonites, as recorded in Judges 10:9. "And the sons of Ammon crossed the Jordan to fight also against Judah, Benjamin, and the house of Ephraim, so that Israel was greatly distressed." The tribe of Benjamin again found itself the victim of marauders from east of the Jordan. As was the case with the Moabites, the tribes of Judah, Ephraim and Manasseh were also involved. This time, however, deliverance came from outside the tribe. The character of Jephthah remains an interesting character. Much of his story is similar to king David's. Born to a harlot, Jephthah was chastised by his brethren, and exiled from his home. His father's name was Gilead, for whom a region east of the Jordan was later named after. Thus, from the beginning of his life Jephthah was an outcast of sorts, looked down upon by his brothers and others of "pure" blood. Judges 10 speaks of the Philistine and Ammonite pressure beginning to be put on Israel. The time period involving Jephthath, according to The Holman Bible Atlas is ca 1100 B.C. Jephthah fits the mold of what constitutes a Habiru chief, as he was exiled from his home, joined together with others of like situation, emerged as a leader of men, and was hired out as a mercenary outfit. The Ammonite oppression provided just the opportunity Jephthah needed to return from exile and rise to a role of leadership. He bargains himself into the leadership of Israel with representatives from Gilead, and upon his acceptance of their offer proceeds to defeat the Ammonites. He then defeats the men of Ephraim for their haughtiness towards him. Though no more mention is made of the tribe of Benjamin, the narrative ends with the defeat of the Ephraimites at the fords of the Jordan. Jephthah reigned for six years afterward. 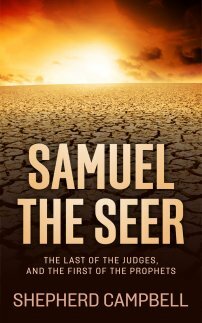 The tribe of Benjamin finds itself next engaged in a near fatal conflict. Rather than Canaanite foes, however, the tribe of Benjamin is engaged in a civil war with their fellow Israelites.